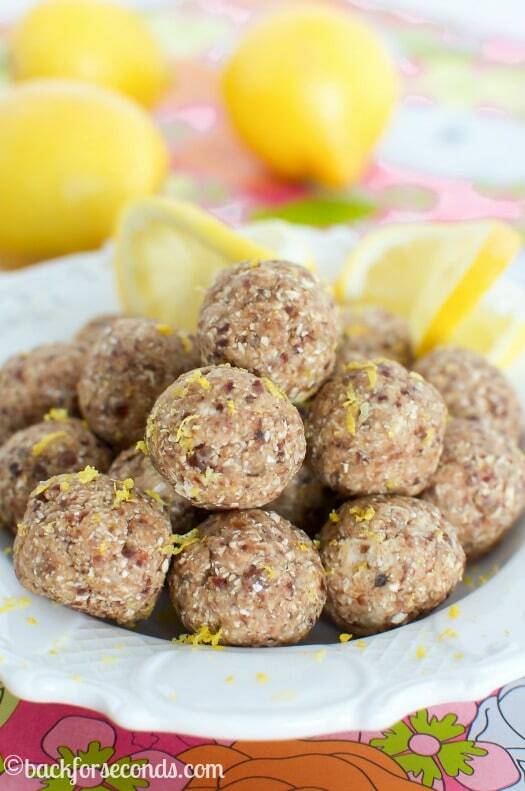 These Lemon Pie Energy Bites taste just like lemon bars or lemon pie, but they are healthy!! 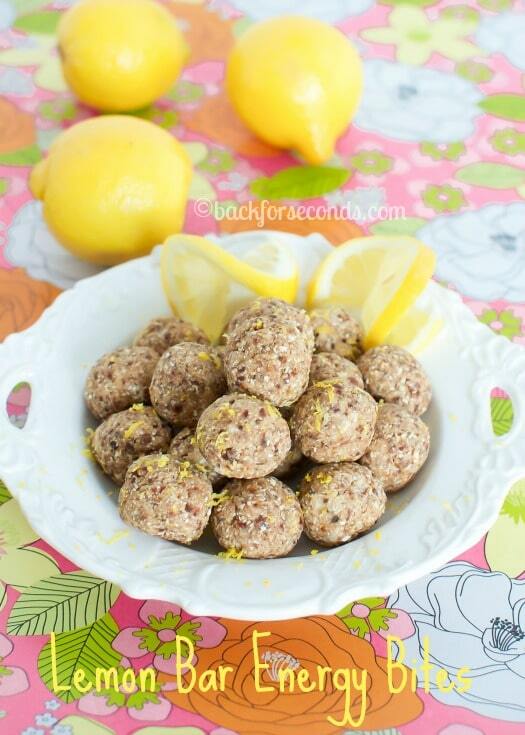 This lemon snack will satisfy your sweet tooth and wake you up! I am not kidding, these energy bites are really, really good. Not like “good for being healthy”, but REALLY GOOD! My little ones couldn’t get enough. They kept saying, “mmmmm lemon bars!!!”. 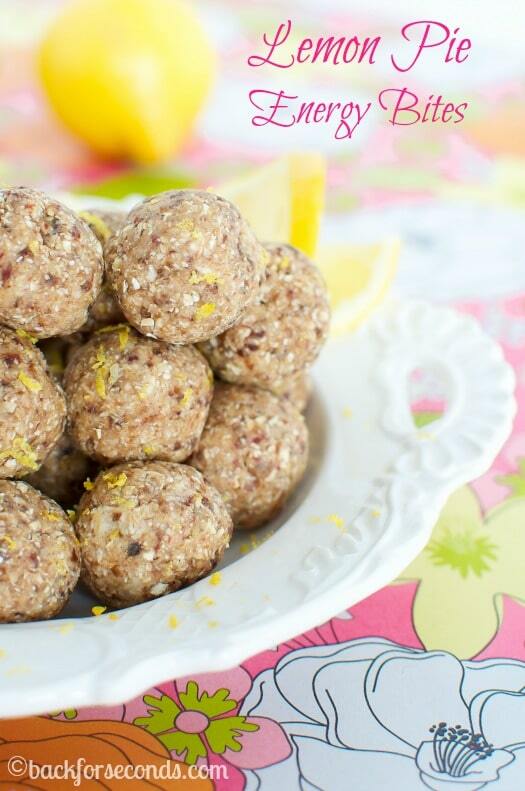 If you love lemon like I do, these are a must make! You are just 10 minutes and 4 ingredients away from tricking your taste buds into thinking you’re eating lemon pie, when you are actually eating a healthy little snack! The punchy lemon flavor wakes you up, the oats help fill you up, and the sweetness from the dates satisfies that pesky sweet tooth. Lemon and good for you too? I’m in! On the ‘Lemon Pie Energy Bites’ – is that the zest of two lemons or just one? By bracketing (plus zest of 1 lemon) and then listing it as well indicates, at least to my literal mind, that it is the zest of two lemons. Can you please clarify? Otherwise, thank you for sharing such awesome recipes. I’m sorry about that, I need to fix the recipe. The lemon juice and zest of one lemon go into the energy bites. I added the zest of another lemon on top – but that is optional. Hope you enjoy them! These were so good and refreshing. Thank you for sharing the recipe! Made the power balls today – so good! I rolled them in coconut and they are chllin’ in the fridge. Can’t wait to snack on them at work this week! Thank you for posting! These look amazing! I can’t wait to try them. I’m just wondering if they freeze well?